To celebrate Library Lovers' Month, I thought it'd be lovely to send a postcard to a fellow library lover! 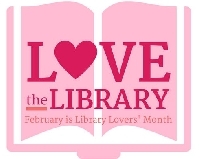 Library Lovers' Month is held in February of each year, so if you love libraries, go get borrowing! For this swap, you will be assigned one (1) partner whom you will send one (1) postcard to with either a quote about libraries, a message about why you love libraries or when you joined, or anything that pertains to a library; it's really up to you! Have fun with it! Your postcard can be storebought or handmade (if handmade, no sticker-slapping, be creative and put some care into making it). No Free/Ad/Zazzle cards unless the Free/Ad card is from the library, then I will allow it (however, just check your partner's profile for preferences with this particular matter).